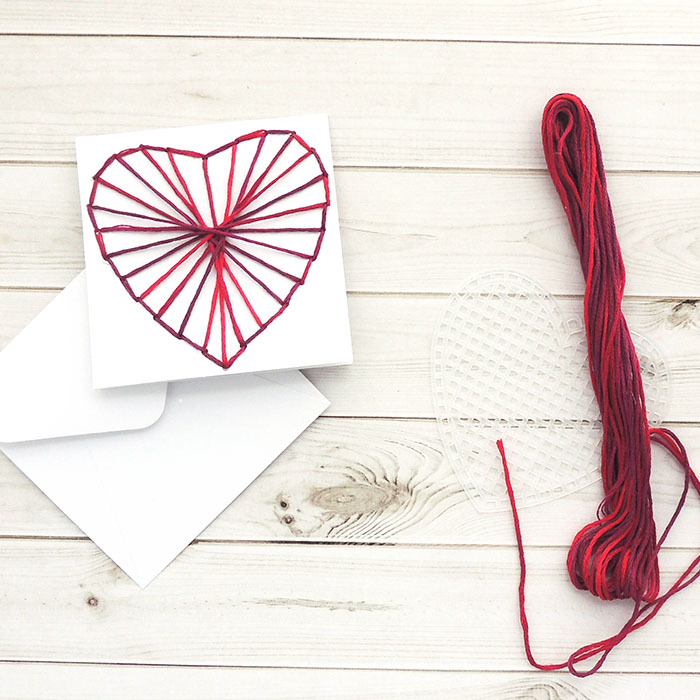 Valentine's Day is quickly approaching and the perfect holiday to have a little DIY fun with the kids. We've rounded up six of our favorite valentine ideas. 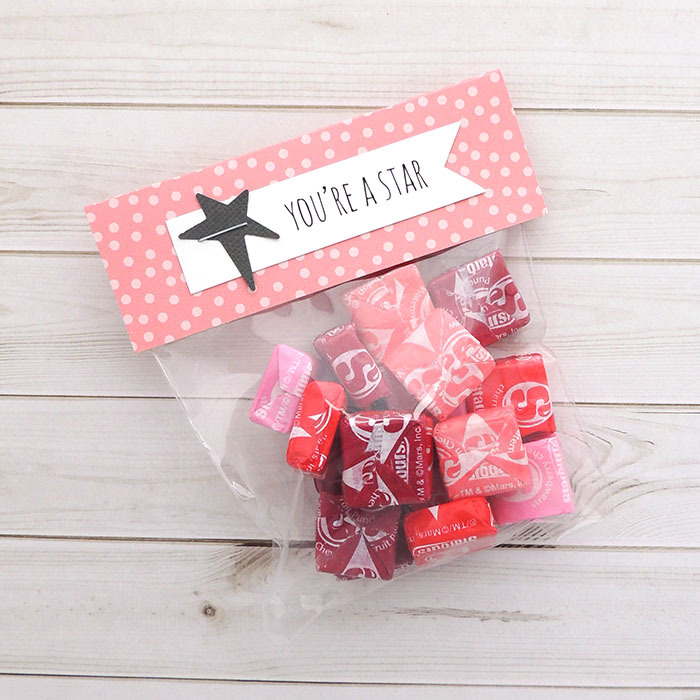 You'll want to dig through your stash of punches, washi tape, and cardstock to create these! Washi Tape is on our list of must have products. It's a great decoration but has practical uses too. It's similar to painter's tape, holding things in place as needed but doesn't leave a sticky residue behind. 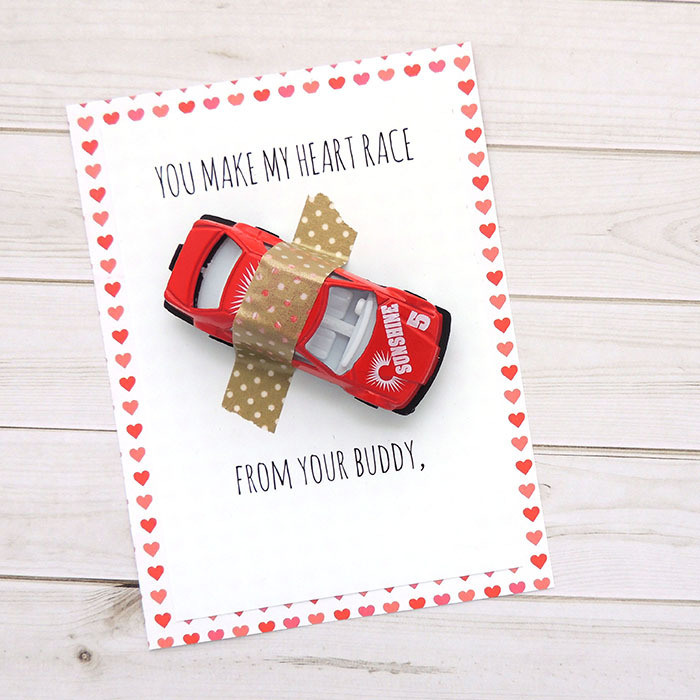 For this valentine idea, we printed a fun sentiment on white cardstock and adhered it to patterned paper. We picked up a pack of three cars at a local dollar store and used washi tape to hold the cars in place. The kids can easily and quickly peel off the tape to get to the car. Recreate this look with dinosaurs (Your Dino-mite), army men (Glad your in my troop), or other toys. Pick up a pack of fancy pencils at your local office supply store or a classic, yellow No. 2. 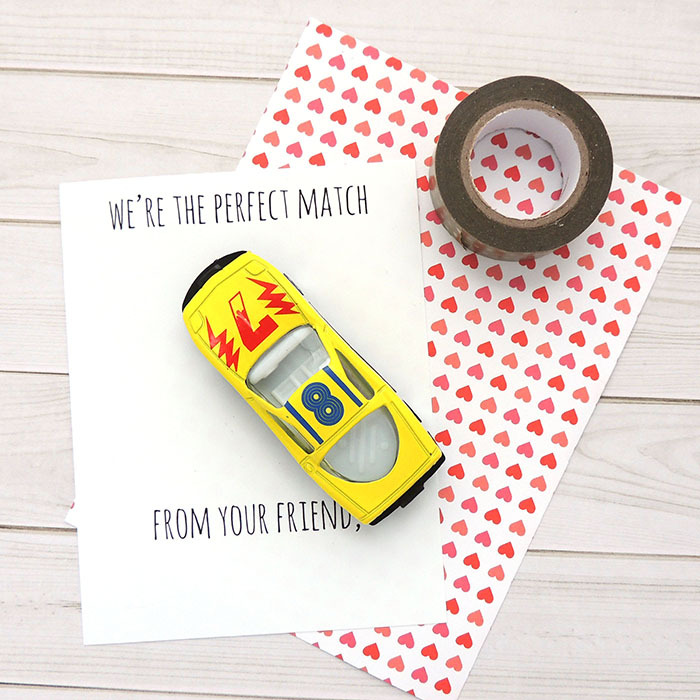 We found these beauties at our local Target Dollar Spot, and decided to spice them up with a simple paper valentine. 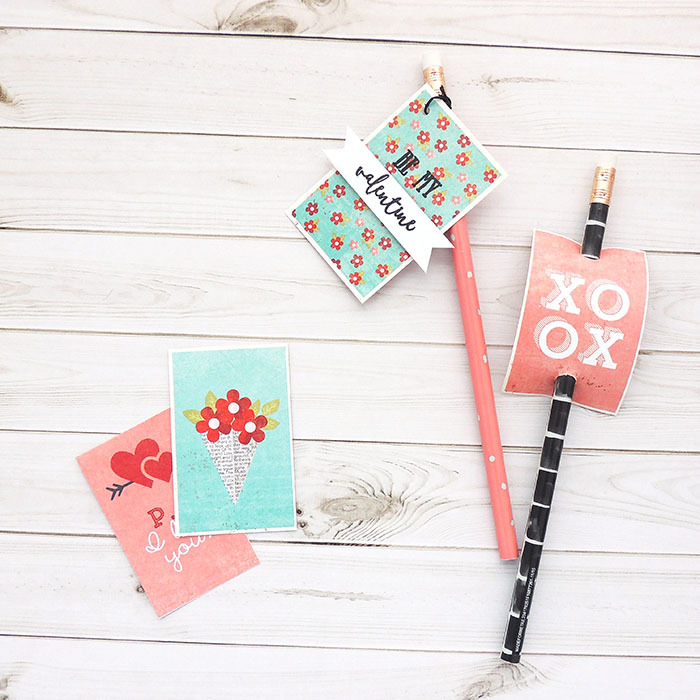 To recreate this look, head into our shop to get your hands on one of the many 12x12 papers full of small valentines. We cut them apart, used a hole punch to create a spot for the pencils, and added it to the pencil. So quick! So easy! And at less than a dollar for a sheet of 24, it's affordable! Try this look with twisty straws, pixie sticks, suckers, or other similar shaped treats. We can't get enough of these animals made from simple, white envelopes. 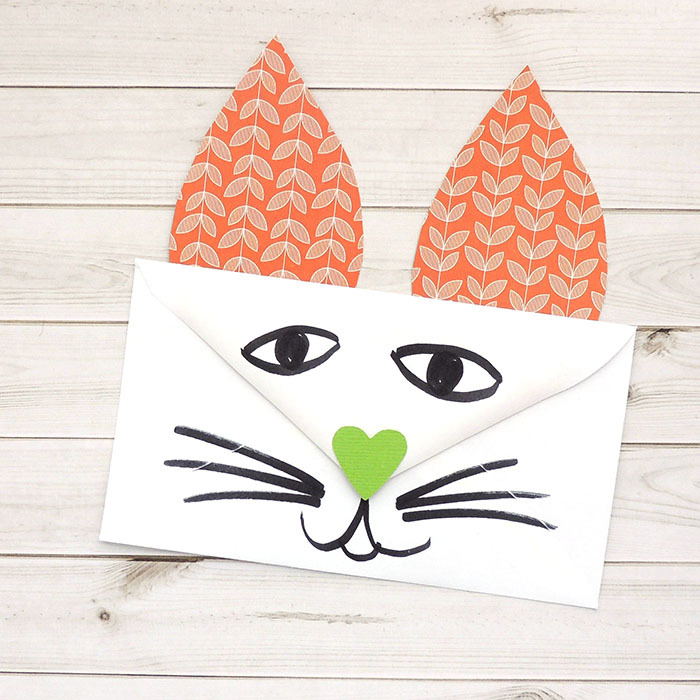 Use crayons, paints, or our favorite brush Tombow marker to create facial features of your favorite animal on the back of envelopes. We used punches from our Crop Room to easily create hearts for noses and circles for cheeks. The ears were cut freehand out of patterned paper, journaling cards, and colored cardstock. Use whatever you have on hand or shop our wide variety of papers. Tuck a note or treat inside the envelope, and don't forget to write the recipient's name on the opposite side of the envelope. Give a gift that promotes reading and learning with cute bookmarks. 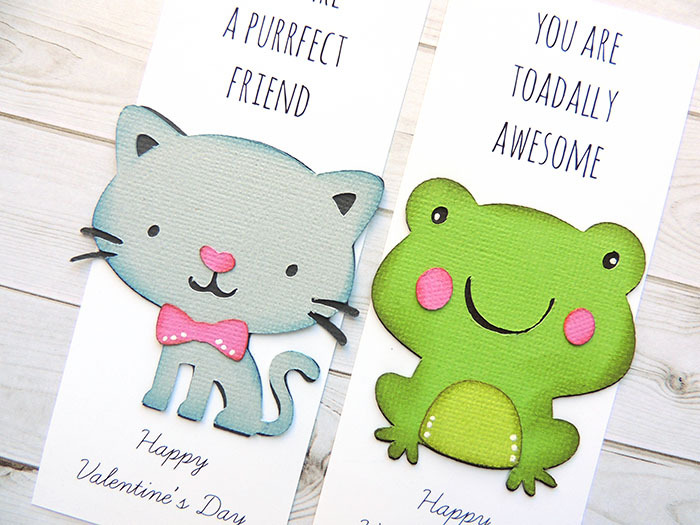 We added sentiments to strips of white cardstock, leaving space for a coordinating animal. 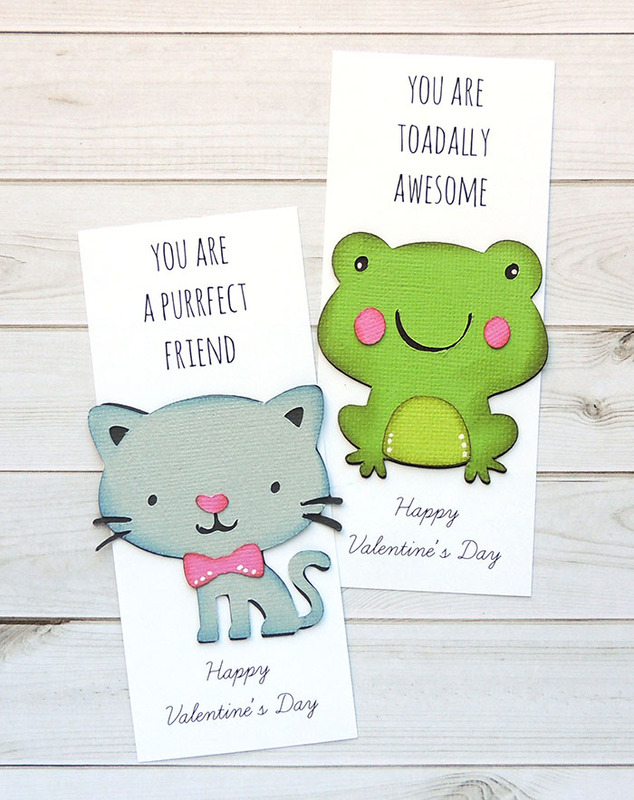 The cat and frog were created with a Cricut cartridge. We added a little Distress Ink to the edges and used a white pen to add some doodles. Don't have an electronic cutter like the Cricut or Silhouette? Shop Creations Galore for die cuts and stickers, or have your children draw their favorite animal. There are so many occasions to use the small, clear bags we sell at Creations Galore. We've turned them into party favors, thank you gifts, and more. This time, we tried valentines. We cut patterned paper, folded it in half, and attached it to the top of the bag with Scor-Tape. Simply write the recipient's name on the paper, and gift it with a smile. We took it one step further by adding the fun phrase and a star created with scrap paper and a punch from the Crop Room. Recreate this valentine with goldfish crackers (Glad you're in my school) or other treat. This may have been our favorite valentine to create. We used 3 by 3 inch folded cards and envelopes, available in cream and white, but you could use a larger card or single piece of cardstock. Use a cookie cutter, paper heart, or plastic canvas as a template. Place the template onto your card front, and poke holes along the edges with a basic thumb tack or paper piercer. We recommend completing this step or enlisting your older children. Pick your favorite color of thread or yarn, and use a needle to insert the thread through the various holes. Allow your children to create a unique design. There's no right or wrong way to create this fun string art. 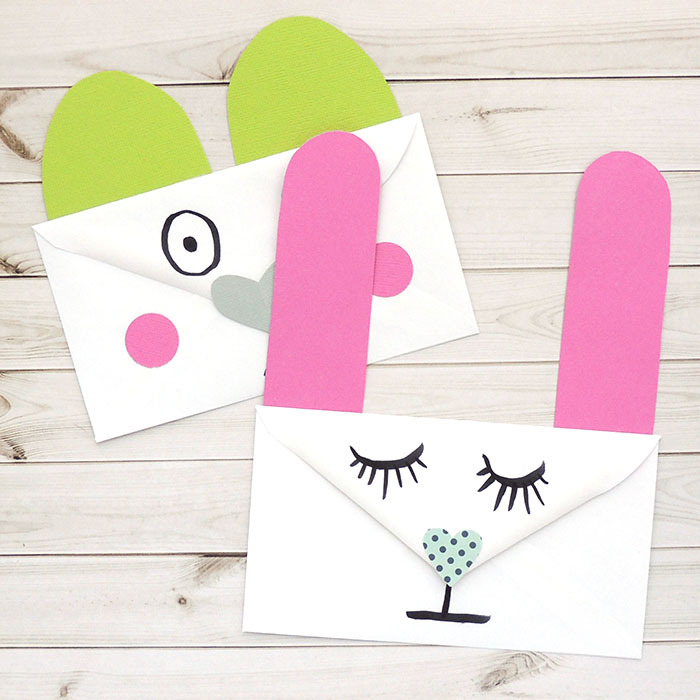 Add a sentiment to the card's inside, and slip it into the adorably small envelope! 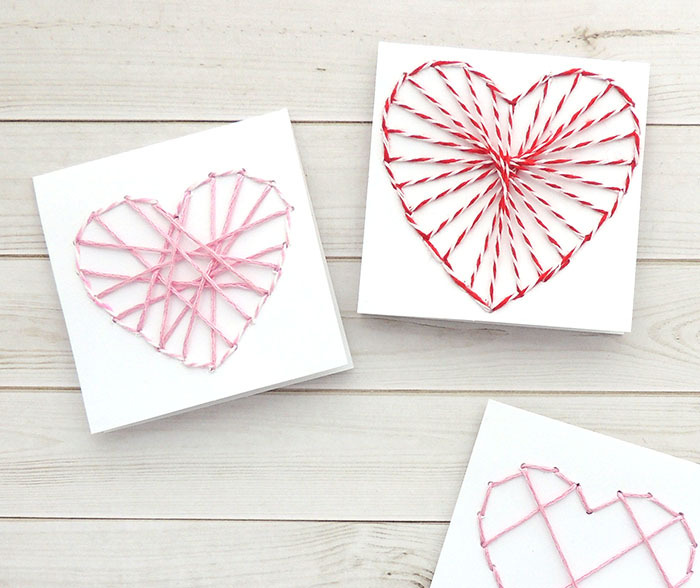 We hope you're inspired to get crafty with your children this Valentine's Day. Share your take on one of the DIYs by tagging us on Instagram or posting to our Facebook page.